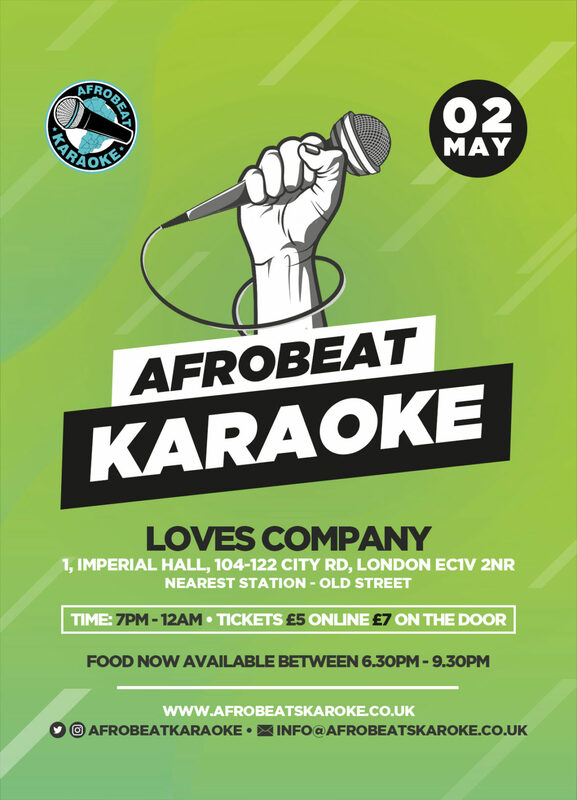 #AfrobeatKaraoke is the #1 unmissable and entertaining mid-week day event that’s taking over central London every Two Thursday’s of the month. Join us for an exciting episode of ‘Afrobeat Karaoke’ on the 2nd of May. Trust us when we say #AfrobeatKaraoke is heaps of fun, if you are lucky enough to know someone who attended the previous nights do ask them ? Or check our Instagram page for videos. Food service is between 6.30pm – 9.30pm. You can book and celebrate your birthday with us without extra charge.. No where does birthdays like we do ? We have games, fun activities and more to keep you guys entertained.